Dr. Benjamin A. Garcia received his B.S. in Chemistry from UC Davis in 2000, where he was an undergraduate researcher with Prof. Carlito Lebrilla and was first introduced to the field of mass spectrometry. There he was an American Chemical Society (ACS) Scholar and was awarded the I.M. Kolthoff Enrichment award by the ACS Division of Analytical Chemistry. He was also a summer undergraduate researcher at Caltech with Prof. Jack Beauchamp (1999), and a research associate at Sequenom, Inc. (2000-2001). Dr. Garcia received his PhD in Chemistry from the University of Virginia under the supervision of Prof. Donald Hunt (2005), and then was an NIH NRSA Postdoctoral Fellow at the University of Illinois with Prof. Neil Kelleher (2005-2008). In 2008, Dr. Garcia was appointed as an Assistant Professor at Princeton University until his recruitment as the Presidential Associate Professor of Biochemistry and Biophysics, and Faculty Director of the Quantitative Proteomics Resource Core at the University of Pennsylvania School of Medicine in 2012. He was promoted to full Professor in 2016, and named the John McCrea Dickson MD Presidential Professor in 2018. He also currently holds a secondary appointment in the Department of Chemistry at UPenn. Ben is a member of the Biochemistry and Molecular Biophysics (BMB), Genomics and Computational Biology (GCB), Cell and Molecular Biology (CAMB) and Pharmacology (PGG) graduate groups at Penn Medicine. Currently, he is also the BMB Chair of Graduate Admissions and Vice Chair of the BMB graduate program. Lastly, Ben is highly passionate about encouraging and supporting diversity and younger underrepresented minority scientists. He is currently the Director of Diversity Recruitment for the Penn BMB Program, serves as a faculty advisor for both the PennPREP Program and the UPenn Chapter of the Society for the Advancement of Chicanos and Native Americans in Science (SACNAS), and served on the American Society for Mass Spectrometry (ASMS) Diversity and Outreach committee. Ben currently is the Chair of the UPenn University Council Committee for Diversity and Equity. Dr. Garcia’s research interest has focused on developing novel mass spectrometry based approaches and computation for interrogating protein modifications, especially those involved in epigenetic mechanisms. One longstanding main interest is in understanding the dynamics of histone PTMs during cellular differentiation and disease by combining cell biology, genomics and biochemical techniques with quantitative Bottom Up, Middle and Top Down proteomics. His work has resulted in over 250 publications (>210 as a faculty PI). He has also been recognized with numerous honors including the American Society for Mass Spectrometry (ASMS) Research Award, the ACS Leadership Development Award, named an “Emerging Investigator” by the Molecular Biosystems journal, the New Jersey Mass Spectrometry Discussion Group Early Career Award, a National Science Foundation (NSF) CAREER Award, the NIH Director’s New Innovator Award, the Presidential Early Career Award for Scientists and Engineers (PECASE), an Alfred P. Sloan Fellowship, an AB Sciex Young Investigator Award, an Agilent Thought Leader Award, the Biomed Research Central Award in Molecular and Cellular Sciences, the PITTCON Achievement Award, the Enabling Proteomics Technologies Ken Standing Award, the Leukemia and Lymphoma Society Dr. Robert Arceci Scholar Award, the Protein Society Young Investigator Award and the American Chemical Society Arthur F. Findeis Award. In 2018, Ben was also the recipient of the prestigious American Society for Mass Spectrometry Biemann Medal. 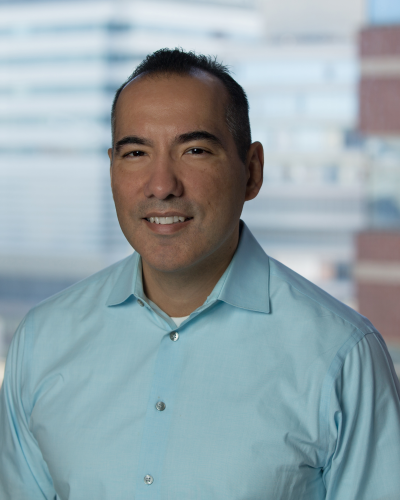 Dr. Garcia is on the editorial board of both the Molecular and Cellular Proteomics (MCP), and Molecular Omics journals, serves on the Editorial Advisory Board for the Analytical Chemistry journal and also served as an Associate Editor for BMC Genomics (2010-2017). He also serves on the Board of Directors for the U.S. Human Proteome Organization (HUPO), and has previously served on the ASMS Nominating, ASMS Diversity and Outreach and the ASMS Asilomar Conference committees. Ben was also elected to the HUPO governing Council (Western Region Representative) in 2016. He has chaired several scientific sessions or workshops at many conferences including US and World HUPO, ASMS, ASBMB, the Protein Society and ABRF. Dr. Garcia participated in the Peptide and Protein Identification Guidelines meetings for MCP, and served as a guest co-editor for a special MCP issue focused on Chromatin Biology and Epigenetics. He has also been profiled in the American Chemical Society (ACS) Scholars Alumni Profile Series, the Analytical Scientist and in an ASBMB Research Spotlight. Ben served as the secretary for the Delaware Valley Mass Spectrometry Discussion group from 2015-2018. He has also served on many NIH, NSF and other grant review panels, and is currently the Chair of the Enabling Bioanalytical and Imaging Technologies (EBIT) NIH study section, and serves on the NSF Biological Sciences Advisory committee. Ben has also participated at Capitol Hill Day speaking to congressional representatives about continuing federal funding of scientific research. Dr. Garcia has collaborated or consulted for Celgene, Genentech, Eli Lilly, Pfizer, GSK, Amgen, Constellation, Abbvie, BMS and Novartis. The Garcia Lab has a Technology Alliance Partnership with Thermo Scientific, and they also named him as a Thought Leader in the proteomics field in 2014.